Awesome pocket knives that won't break the bank! UPDATED: 04/25/2018 – This post was recently updated to include additional knives under $50 that I’ve found to be of excellent quality. There is now a total of 19 knives reviewed below. Enjoy! There are many things to consider when deciding to purchase a new folding knife, but for most of us, ultimately it comes down to the price. I decided to find the best edc knife under $50, turns out it was more a little difficult than I thought. Keep reading to find out why! Thankfully, with the growing number of knife manufacturers, like Spy﻿derco and Kershaw to name a few, many have made and continue to make some excellent pocket knives that fit into most anyone’s budget. Not only are these folding knives highly affordable, but they are also quality made knives. So while all these pocket knives may be cheap on price, they still have many of the great features of the more expensive ​folding knives. When I started writing all this down I thought this would be an easy list to put together, but after doing a little research I quickly realized that finding the best edc knife under $50 was a little more difficult than I had anticipated, for the simple fact that there are just so many to choose from. I looked at each knife individually and compared the blades, handles, and even the ergonomics of each to comprise the best 10 I could find for under $50. Eventually this list may change, but for now this is what I came up with. I choose the Spyderco Tenacious as my top budget edc pocket knife, Why? ​It’s a simple answer really, because it is. 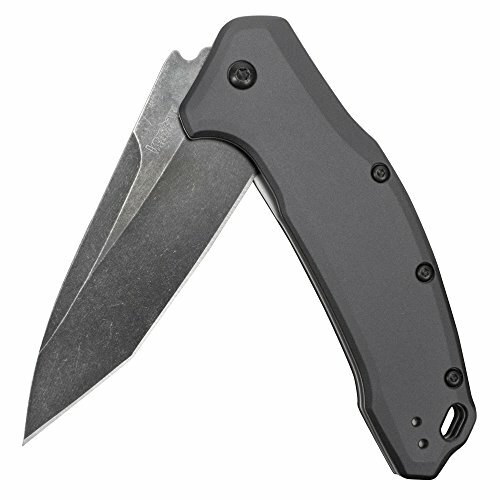 The Tenacious is extremely affordable, has nice G-10 handles and the blade material is more than adequate for an EDC knife being 8Cr13MoV. Out of the box of course the Tenacious is razor sharp, ​the blade is a little soft so you may find you need to sharpen it a little more often. However, the 8Cr13MoV touches up very easy. So while the Tenacious may be produced in China, its value is off the charts. I love this knife and it’s probably the best EDC knife under $50 you’ll find. ​I’ve recently moved this knife way up my list, it’s the best edc knife under $50 I’ve carried in a long time. I still love my Spyderco Tenacious, but the RAT 2 is growing on me fast. It’s rare that you find a knife of this quality selling for as low as this one does. Compared with other more expensive folding knives the Rat 2 will hold its own without question. The fit and finish of this knife is awesome, there is zero blade play and it’s just an overall solid knife. The pocket clip is drilled for your choice of tip up, tip down, left or right hand carry. 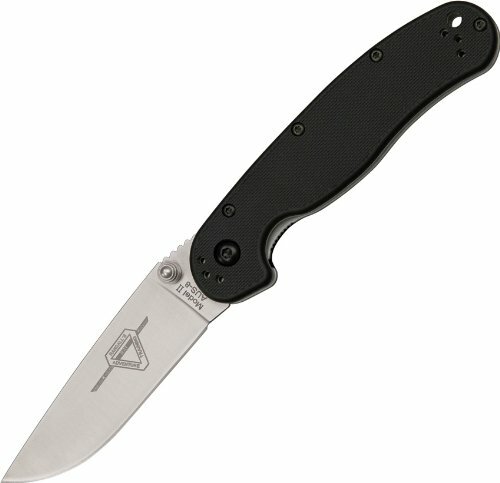 Seriously, you are going to be hard pressed to find a better edc knife under $50 than the Ontario Rat 2. This knife is just an awesome! When it comes to matching quality with the price, none can beat the Ganzo G720 and none can match its performance. The Ganzo knife is constructed out of 440c Stainless Steel, which makes it lightweight and corrosion resistant. The sharp edge is perfect for hunting and cutting through ropes and so on. 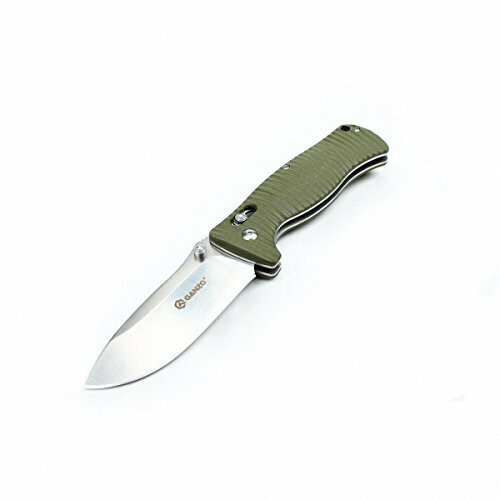 The Green Stainless Steel Handle with grooves for the perfect grip is perhaps the identity of the Ganzo. This ensures your hand fits perfectly and bears with absolutely no strain. The lock featured is an axis lock, which ensures safety! Apart from being ergonomic and comfortable, it has a metal pocket clip that allows you to hold the knife on your belt. The metal clip is reversible so both right-handed, as well as left-handed folks, can use it. Also featured on the handle is a window breaker for emergencies! The total net weight of the pocket knife is about 205 gm while the blade length 3.5 inches. The Ganzo can be your savior in times of crisis! 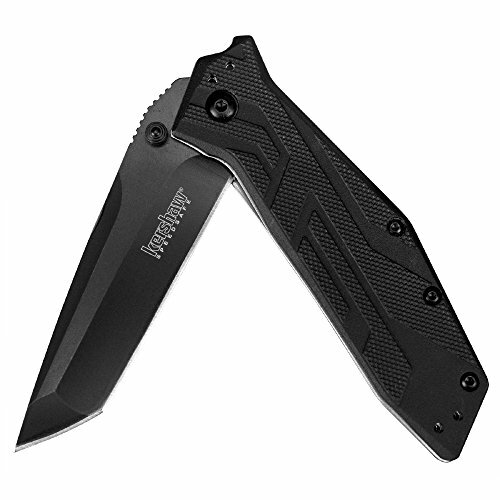 The Kershaw Cryo is number 3 on my list for a few reasons, first of all this folder is very affordable. You can pick up the original Cryo for well under $50. Believe me, for what you get in this knife that is a heck of a deal. Optionally, if you would rather have a different handle material, the Cryo is also offered with G10 handles. I personally think G-10 is one of the best handle materials out there, so this makes the Cryo and even better value in my eyes. SpeedSafe with the flipper make this pocket knife an easy choice for the best EDC knife under $50! When I first saw the Cold Steel﻿ Micro Recon 1 something about it just fit my eye, I really liked the looks of this little knife. It’s a tactical style knife and I just really liked everything about the way it looks and feels. The Tri-Ad lock is a proprietary Cold Steel system and is very strong, its a bit stiff at first use but loosens up as the knife breaks in. The clip has been replaced with a small key ring.. The only real complaint I’ve got with this knife is its small size. But if you’re looking for a small edc, this is best edc knife under $50 for you. No budget edc knife list would be complete without the inclusion of the Kershaw Leek.​ This knife has quite a few features I personally like, and a few I don’t. But for its cheap price tag, it’s not going to be perfect. The Leek has a Sandvik 14C28N steel blade,​ which is a top grade knife steel. It’s edge retention is really good and its very easy to re-sharpen when needed. The handle is bead-blasted stainless steel, and can get a bit slippery in wet conditions. However, with some well thought out handle ergonomics this really isn’t an issue. What I really like about this knife is the Speedsafe deployment with your index finger, its lighting fast. If you haven’t tried a Kershaw with the Speedsafe I would highly recommend you do so. The Leek is also equipped with thumbstuds and the deployment is also very quick, I prefer the index finger, but both are equally good. Overall the Leek is very well built, its sharp, thin and light. For an EDC, it the perfect size, you can’t really notice it in your pocket. It’s the perfect combination of size, weight & length. The Spyderco Ambitious is the very definition of a budget EDC pocket knife. Even advertised as such by Spyderco themselves in their line of value-priced folding knives. For reference the Spyderco Ambitious is an inch shorter that the Delica 4, ​but a little fatter. As with most of Spyderco’s offerings, the ergonomics are great and the knife fits great in the hand. Overall the Ambitious is a good little pocket knife with a great price tag for the budget conscious collector. Next up on the list, the Kershaw Brawler. What I really like about this knife if the speedsafe function with flipper, makes for super fast one hand blade deployment. ​What else do I like about the Brawler you might ask, the price tag of course. It’s cheap and packed with some awesome features. 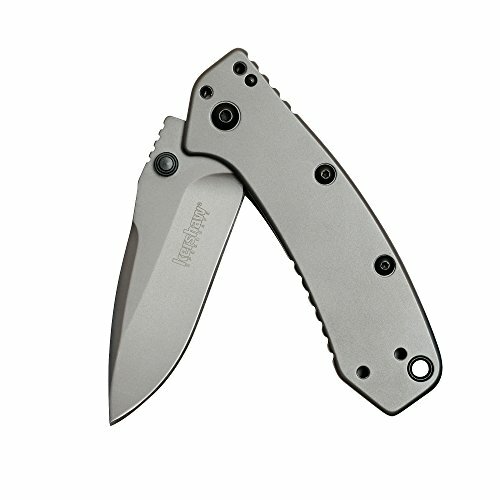 For the guy looking to save a few bucks, I’d say the Kershaw Brawler could absolutely be the best edc knife under $50. The Sog Flash II folding knife is nice inclusion to my top 10 list. Both versions of the Flash 2, plain edge and partially serrated edge can both be bought for less than $50 each. So for me the popularity of the SOG brand ​and the adequate materials used on this pocket knife make it a top 10 choice easy. The Flash 2 has a 3.5″ AUS-8 Japanese steel blade.​ SOG knives are pretty well known for using the AUS-8 steel in a lot of their knives. If I were to put in on scale of 1-10 for taking and edge, I would give it a 10 for sure. As for retaining that edge, it be a 4 probably. The ease of sharpening makes up for the shorter retention if you ask me. Additionally when the blade is closed, the safety lock​ prevents the blade from being opened at all. This would be helpful in a house with small kids if you accidentally leave it sitting on the coffee table or something like that. The Flash 2 is a bigger knife, so if you prefer a smaller EDC knife, the original Flash 1 would be a good option. It’s blade is an inch shorter at 2.5 inches and weighs only 1.30 ounces. 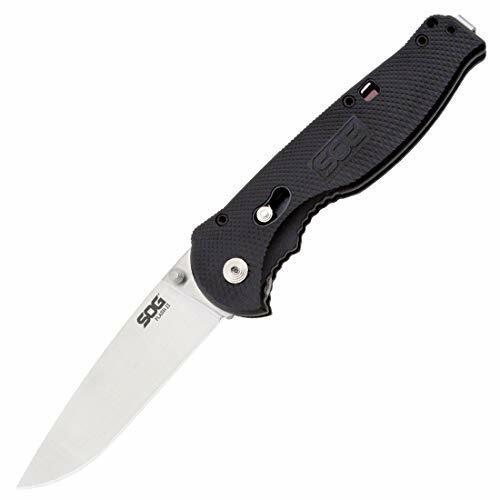 I think the SOG Flash II would make a nice complement to any person’s pocket. The Kershaw Link Drop Point Knife, with its vintage appeal, is perhaps one of the most tactical yet affordable solutions out in the market. Featured is one of the most ergonomic handle design that fits fully and comfortably into the hand, causing no strain. It is constructed from aluminum, which imparts durability and overall strength to the blade. The blade itself is composed of steel with added carbon and chromium. These added elements impart corrosion resistance and strength to the blade. The length of the blade is about 3.25 inches while the overall knife weight is 4.8 ounces, which makes it perfect for keeping on the go. The liner lock is of supreme quality with a Speedsafe assisted opening to ensure safety. The pocket clip is reversible allowing the knife to be used by folks of all dexterity. Whether you want to hunt, camp or get friendly with the outdoors, the Kershaw is a must-have. To start off with, the M16 is the perfect sized for edc, if you’ve search this article looking for a budget edc knife, the M16 is a great option. With that being said, the CRKT M16 is also a very nice folding knife. It looks awesome and is very comfortable to hold and use. The blade is made from 8Cr15MoV steel, which I haven’t really used all that much. But I can say it’s performed quite well. It’s a softer steel so the edge retention isn’t great, but it’s not bad either. Also it can be touched up easily so this for me isn’t a deal breaker. Opening this knife is simple, it has the a flipper so a quick swipe with your index finger and the blade is deployed quickly. The handle is made from glass-filled nylon in a solid tactical black color, There isn’t a ton a texture on the handle, but it’s not really necessary, The handle shape has a nice ergonomic feel and there isn’t much worry of your hands slipping. The little texture if does have has been well implemented. The M16 comes equipped with the AutoLAWKS system, which prevents the liner lock from releasing with the knife opened. You have to disengage the lock to release the liner and close the blade. It can be difficult for 1 hand closing, but as you get used to it it becomes easier. As I said, this is a niced sized knife for edc, it’s 7.125″ open length and only 2.3 ounces. It would make a perfect addition to your pocket. The Alpha Hunter from Buck Knives I just really like. Couple reasons I like this folding knife, for one it’s a Buck Knife, so their forever warranty applies. It’s Made in the USA, anytime I can support American made products I will do it. The CRKT Squid Pocket Folding Knife is a tactical pocket knife that cuts through tasks like a katana! This small and portable knife has a steel blade lock handle with grooves on the side to support your hand. Although it is not the best in terms of ergonomics, it is still decent enough not to cause any strain. The steel blade is high-quality drop point and is wider than other blades to help you cut through all challenges. The frame lock on the handle is for added safety so the blade does not poke through. However, deploying the knife is easy; all you need to do is flick your thumb. The blade length is about 2.25 inches, which are shorter than others; however, the overall length is 3.6 inches which can be considered as an advantage as well. The Squid is lightweight weighing 3.4 ounces. The handle features a pocket clip that is fixed. 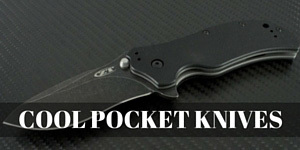 The compact CRKT Folding Pocket Knife can let you have the upper hand in times of action! The Gerber Freeman Guide Folding Knife is the ultimate pocket knife for all hunters or outdoorsmen. The first thing you notice is the extremely ergonomic handle with pronounced grooves to help you hold on to the knife with sure grip and security. The Tac Hide Onlay on the handle enhances the grip even further. The superior quality durable steel blade features a very fine edge of Gut hook to ensure you can cut through the toughest of objects. The knife features no pocket clips, however, it comes with a nylon sheath that holds the folded knife. This sheath can easily attach to the belt or pocket. The liner lock safely locks the blade into the handle. The lock is strong, however, opening the blade with your thumb is still quite easy. The overall weight of the knife is about 6.6 ounces while the blade length is 3.6 inches. 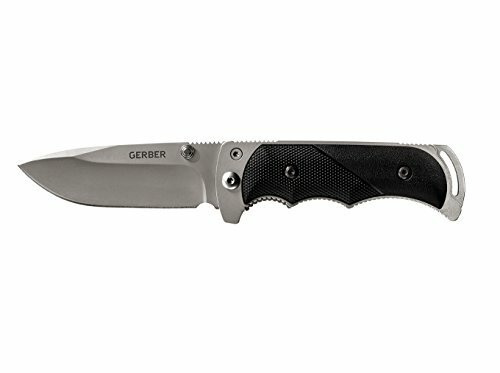 Due to its superior performance, the Gerber is a top favorite amongst most hunters. The simple Opinel Carbon Steel Folding Knife has a unique look where it looks more expensive than it actually is! The Opinel handle is made out of Beech tree, which is very easy to work with. The Handle is hard, strong and durable; however, it is not as ergonomic as other knives as it has no separate grooves for the fingers. Still, it does not strain your hand and has a unique stylish look to it. It’s Carbon Steel blade is very hard and thus cuts to the bone. It is durable, corrosion resistant and is stamped with the ‘Crowned Hand’ symbol. The blade fits snugly into the handle and features a Vibrolock Safety ring, which locks the blade when open and when closed as well. This ensures safety while traveling and when in use. However, one shortcoming of the Opinel is that it has no pocket clip for ease of use. The knife is available in different sizes. 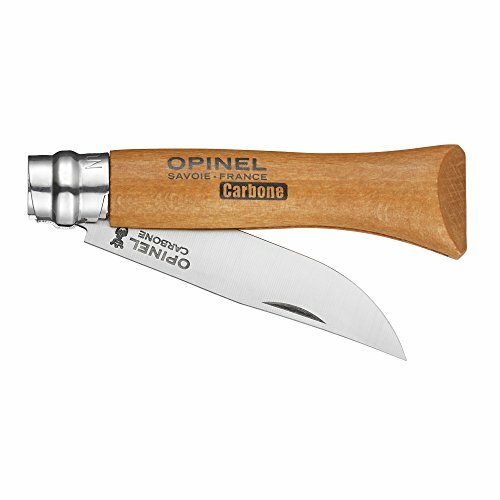 The timeless Opinel is a must-have tool for all enthusiasts, hunters or handymen. Buck Knives is an acclaimed brand for making the best knives for outdoor purposes! The Bantam 284 features a Glass reinforced Nylon material that is durable and sturdy. Grooves on the handle make for the perfect fit for your fingers and provide a comfortable ergonomic grip. The blade itself is made of 420HC Steel, and while this steel isn’t the top of the line Buck has managed bring the best out in it with their heat treatment process. The blade has good strength, respectable edge retention and is corrosion resistant. Additional features on the Bantam 284 is a thumbtack which makes it easier to deploy the knife with the swipe of a thumb. The lock back mechanism perfectly locks the blade into place and ensures reliability and safety. The blade length is about 2.75 inches which are relatively short while the weight is overall 1.5 ounces. Unfortunately, it features no pocket clip. With the host of such convenient features, who can deny buying the Buck Knives? 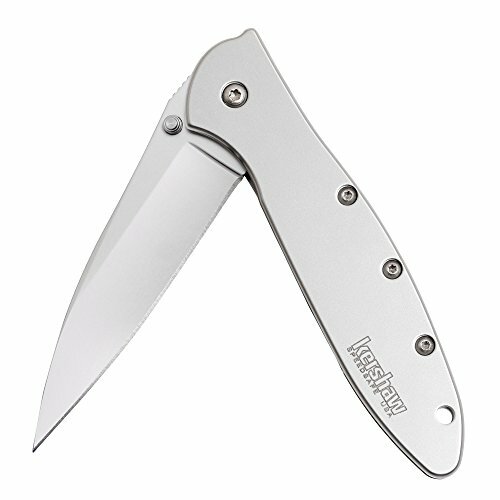 The Kershaw Dividend folding knife is an elegant, high functioning, razor-sharp EDC knife. The handle of the knife is made of an anodized aluminum that curves to fit the hand and is corrosion resistant. The grooves are not as pronounced on the handle, however the shape allows your hand to sit comfortably so the ergonomics are not compromised. It’s 420HC stainless steel ensures decent edge retention with excellent strength to make the sharpest of cuts. The blade shape is ideal for slicing, cutting boxes, food preparation, outdoor uses and other utility work. The equipped liner lock is strong and secures the blade when closed. Perhaps the best feature is that the pocket clip, which is adjustable and can be moved to any four corner positions. The blade length is about 3.16 inches while the overall weight is about 2.8 ounces. This EDC Knife is sure to make your life easier! Buck Knives continues to produce high quality budget knives and comes out with the Carbon Fiber Nobleman to drown out all others! The Nobleman features Carbon Fiber Handle that has rubber on the left side to provide you with superior grip ensuring your hand does not slip onto the blade. Although the handle is pretty ergonomic, it does not have grooves for the fingers to fit on. The 420HC steel is titanium coated for a non-reflective and chic look. In terms of performance, it offers excellent strength, corrosion resistance, and edge retention. The frame lock design tightly secures the blade and ensures it does not slip out. The length of the blade is about 3.75 inches while the weight is about 2.6 oz. The blade features a removable pocket clip as well. Be careful where you point this sharp knife towards! Another top pick from the Buck Knives. In my opinion the Vantage Select is one of the best folding knives the company has came out with! I like the shape and design of this knife, it comfortable and looks nice as well. The handle material is an injection molded reinforced nylon that offers a secure, ergonomic safe grip that will not slip. The 420HC Drop Point Steel Blade is full bellied resulting in corrosion resistance, edge retention as well as excellent cutting ability. The Stainless steel liner lock ensures the blade stays inside the handle and only opens when you use the Thumbhole. It features a long blade with about 3.25 inches and a lightweight design weighing only about 2.8 ounces. Also featured on this remarkable knife is a reversible pocket clip so folks of all dexterity can be satisfied. With the Vantage Select from Buck Knives, it is all smooth cutting! So there you have it, my final list of the best edc ﻿﻿﻿knife under $50. If you have any to add to the list, or just disagree with some of my choices I’d like to hear from you. Being a knife enthusiast its hard to narrow the list down to just 10, because there are many more awesome ﻿﻿knives out there that easily could have made this list. 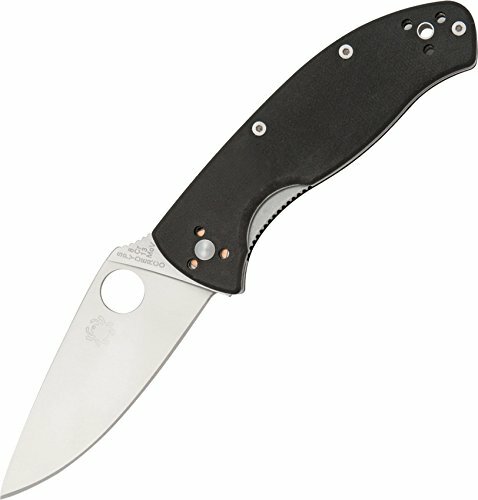 I could have comprised this list of just Kershaw and Spyderco edc knives under $50 just because they have so many to offer, but that would have left out many other great knives from other manufacturers and I couldn’t just ignore them. When it’s all said and done, I love the Spyderco Tenacious and I’ll take that knife all day if I have to choose the best edc knife under $50!!! I agree with you that you could have created just a list of Spyderco and Kershaw knives, but you made other good selections, like the CRKT M16. The Ontario rat 1 outperforms the tenacious in practically everything except perhaps looks. I can’t argue with that, its a great knife for sure. Are you kidding me or what? 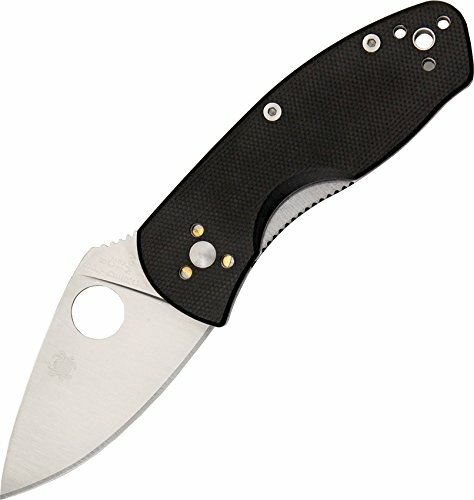 The Spyderco Tenacious beats the Ontario Rat 1 in every single category in my book except for price. Don’t get me wrong, I love both knives, but if I could only have one, give me my Spyderco Tenacious any day of the week and twice on Sunday! I personally own a Benchmark HK Ascender drop point with G10 scales and I love it. Slim profile makes it easy to retrieve or reinsert into the pocket. Only allows left or right hand point down carry, but it doesn’t both me much. 9Crt13 steel is easy to keep a decent edge on. Best thing? It’s only $31 online. I have personally used nearly every knife on this list with the exception of 2 and I wouldn’t recommend any of them. They all have flat 2-D handle designs and horrible ergonomics. Just try using any of these knives for a few hours of heavy cutting chores and you’ll know what I’m talking about. I look for better ergos in a knife than any of these folders! I’d only recommend these knives if you either don’t use your knives, or like getting blisters/bruises on your hand. It is easy for Dan to say no to these choices, but fails to offer an alternative under $50 knife with better ergos. Personally, I prefer 3″ and under thus my top pick in this price range would be the Ontario Rat2 instead of Rat1. Could also consider the equal Esee Zancudo. CRKT Drifter for me. Over any of these actually. Plane jane knife, no frills, no hassles. The steel as good as the best of these. And you can cop it for just $20-$25. crazy! great blade profile, perfect edc length, G10 handles (the stainless are too slick), thin width but solid grip, and light but tough. if the clip was reversible I would dare to say its perfect. also i have admiration for the Kershaw scallion with plastic handles. And none of the dumb blade holes. Great flipper/assisted opening with the short blade. Uninspiring steel and a banana of a clip are slight detractors though.